Cement mortar between masonry units consists of a cement and sand mix. Cement mortar has a light grey colour (similar to concrete). It is considered a high-strength mortar, and it cannot be easily removed from the wall. However, mix proportions for cement mortar widely range between countries, from 1:6 cement:sand to 1:3 cement:sand. Note that a larger amount of cement results in higher mortar strength and influences the strength of masonry construction. 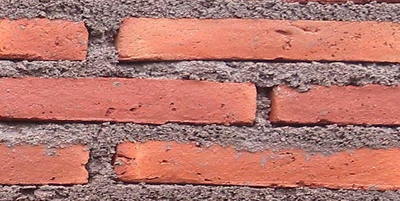 Cement mortar can be used for all types of masonry construction, except for adobe masonry.